Sprinkle extra flour onto work surface. 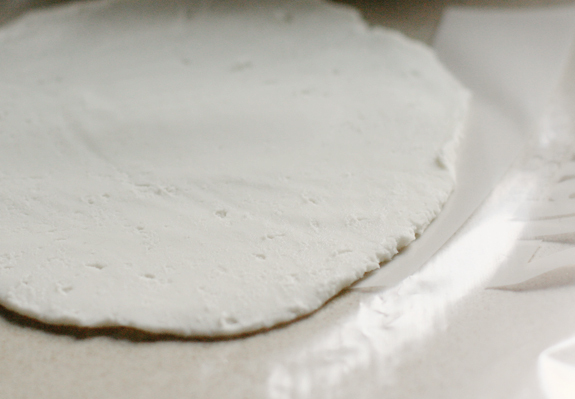 Using your hands, remove dough from bowl and form into a disc. Cut disc in half, and then quarters - 8 pieces total. Roll each piece in your hand to make a ball. Set aside and repeat with remain pieces. 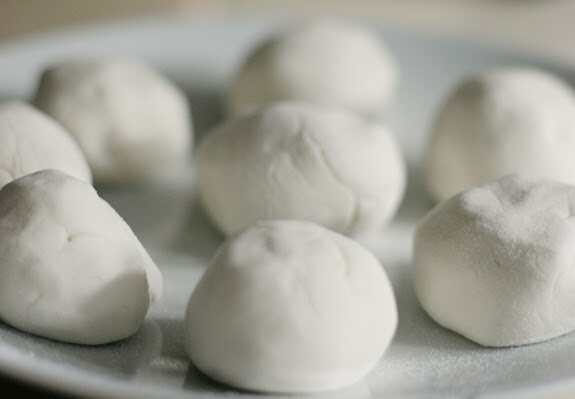 Place dough ball between two pieces of plastic wrap (I used a ziploc bag instead for this step by cutting along the sides until it was one large piece) and flatten with a rolling pins or your hands until tortilla is formed. Repeat with remaining pieces. Heat a large skillet over medium heat and add remaining oil. 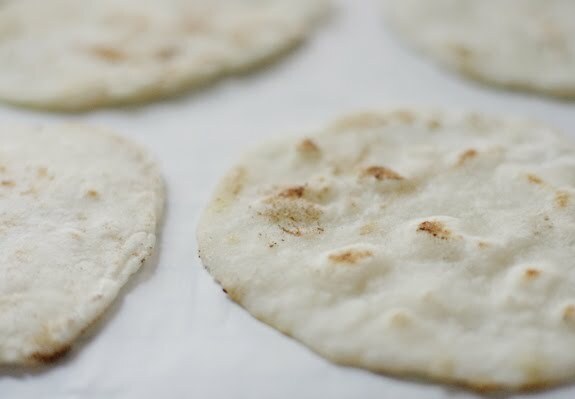 Place tortillas on skillet, 2 minutes each side.